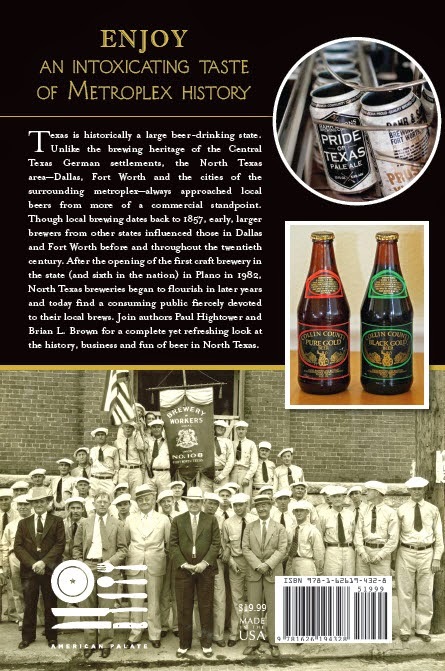 North Texas Beer: A Full-Bodied History of Brewing Dallas, Fort Worth and Beyond has been published by the History Press. It is available in paperback, and is on sale now at Amazon.com, Barnes & Noble and other retailers. Texas is historically a large beer-drinking state. Unlike the brewing heritage of the Central Texas German settlements, the North Texas area - Dallas, Fort Worth and the cities of the surrounding Metroplex - always approached local beers from more of a commercial standpoint. 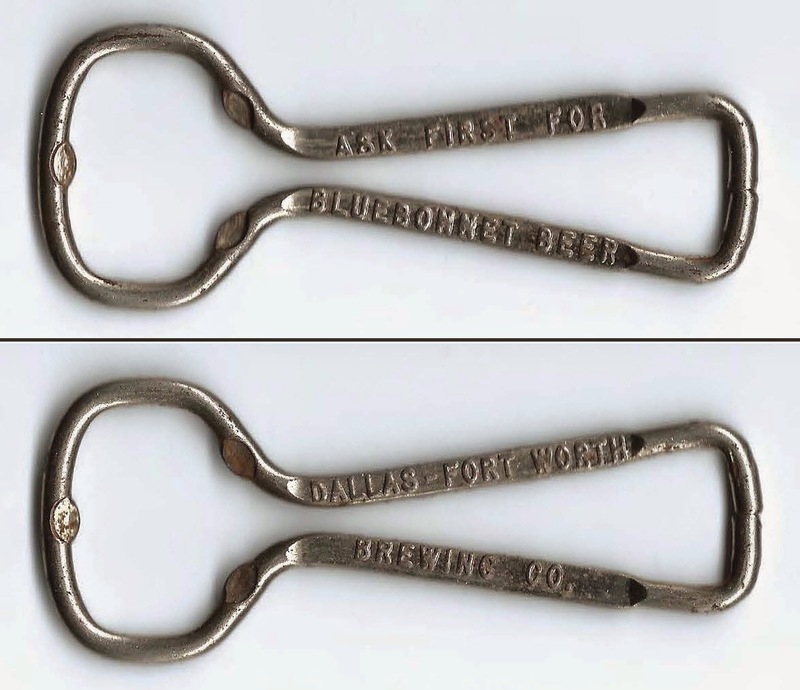 Though local brewing dates back to 1857, early, larger brewers from other states influenced those in Dallas and Fort Worth before and throughout the twentieth century. After the opening of the first craft brewery in the state (and sixth in the nation) in Plano in 1982, North Texas breweries began to flourish in later years and today find a consuming public fiercely devoted to their local brews. 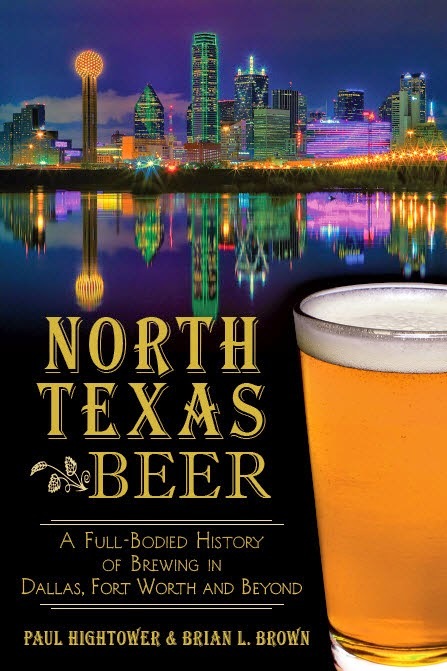 Join authors Paul Hightower and Brian L. Brown for a complete yet refreshing look at the history, business and fun of beer in North Texas. 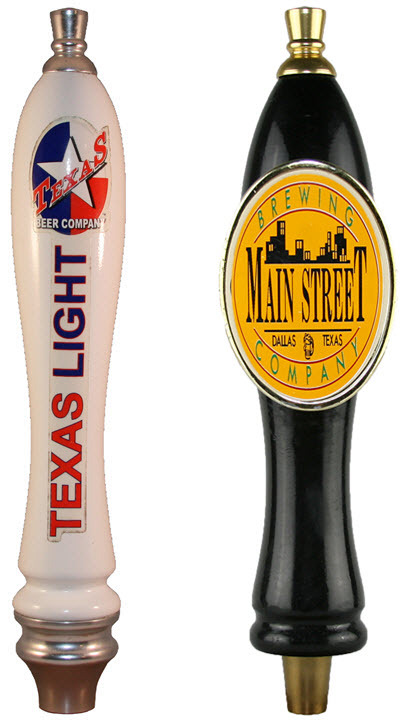 Fort Worth's Texas Beer Co. in 2000.
operated in Dallas from 1996-1998. THINK: The Legacy of North Texas Beer. the Dallas-Fort Worth Brewing Company. Reinheitsgebot Brewing Co. of Plano in the 1980s (Collin County), and Dallas Brewing Co. in the 1990s. Left: Old Fashioned Ale was produced by Schepps Brewing Corp. in the mid-1930s. Right: Texas Tornado was produced by Great Grains Brewing Co. of Dallas (and eventually Fort Worth) from 1997-2004.